IN THE EXTREME NORTHWEST CORNER of the Iberian Peninsula a cape–known to the Romans as Finis Terrae, the End of the Earth–juts into the frigid waters of the Atlantic Ocean. A lighthouse sits atop this rocky point, guiding ships to safe passage along the Coast of Death, a notorious coastline littered with shipwrecks. Farther north along the coast stands the Tower of Hercules–the oldest Roman lighthouse still in use today. According to legend, before the Romans arrived a massive tower stood on this same spot where, from atop, the son of Breogán spotted a distant green island across the sea, prompting him to sail to Éire, becoming the first Celtic inhabitant of Ireland. This blog, O Faro, is inspired by these lighthouses. 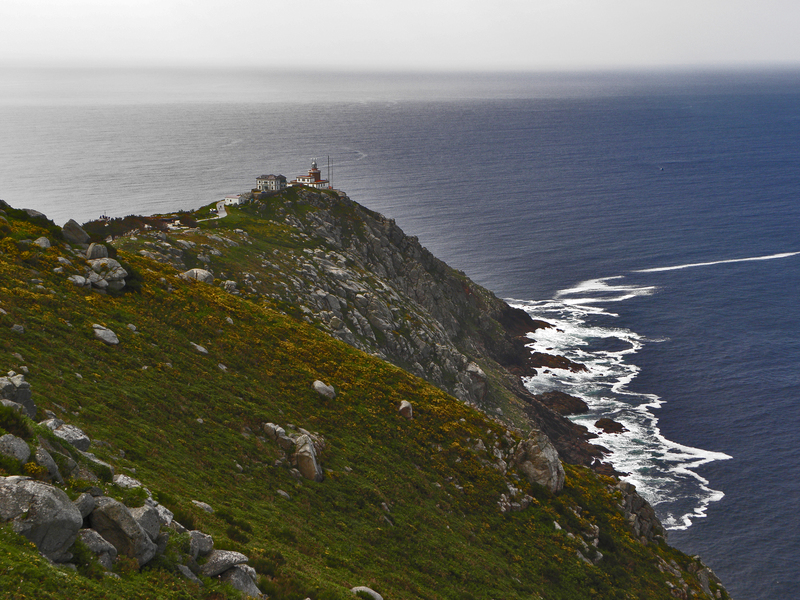 However, instead of navigating ships away from dangerous shores or illuminating faraway lands, O Faro–which means lighthouse in the Galician language–seeks to guide the curious inland to discover Galicia, the land where these lighthouses stand watch. Galicia is in Spain but is not Spanish–Galicia has a vibrant culture and identity that is distinct from Spain. The casual reader may be familiar with the Camino de Santiago or a bottle of albariño found at the local wine store. O Faro intends to go beyond these and delve deeper into the dynamic culture of Galicia via translated essays about Galicia; poetry and prose from Galician writers translated to English; works from historical and contemporary Galician artists; photography and videos; as well as original essays and fiction by the blog’s author.